They’re talking about snow for Easter around here :p. But not much… thank goodness! And with spring comes cleaning (ugh!) and reading (yay!) 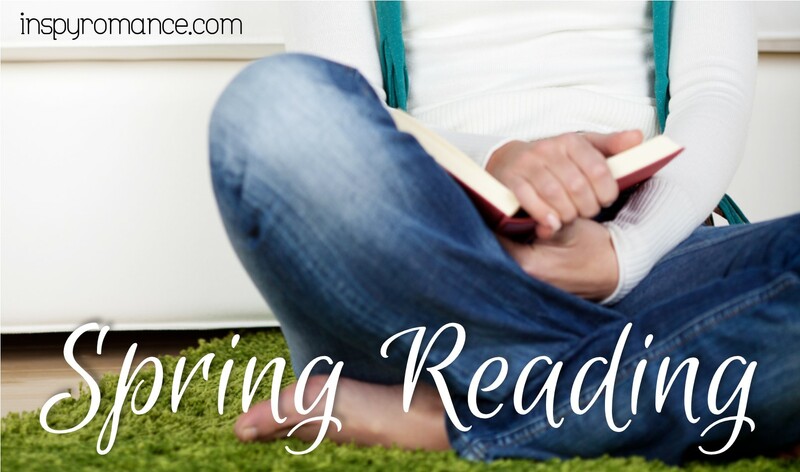 – so today let’s talk Spring Reading lists! There’s ALWAYS wonderful InspyRomance books on their way (my next post is a sneak peek at my upcoming release!) and you can find the newest and upcoming releases on our books page! But here’s some of the contemporary Christian Romance books, by non-InspyRomance authors, that I’m looking forward to! Ironically, three of them release on May 1. Pretty sure I’m going to have to set aside a couple of days to do nothing but READ! If you haven’t read any of Shoshanna’s Bear Creek Saddle Series, you should! Shoshanna has an amazing story that she’s put at the beginning of each book. For many year she wrote… let’s say NOT InpsyRomance. Really not. But she came to know Christ and her writing is reflecting that! I’m loving the new series – her first as an inspy author. Book 3, The Rancher’s Convenient Pregnant Bride, released not too long ago. It’s eyeing me from my kindle, and I hope to get to it this week. Fingers crossed! Becky’s books are sure winners for me! I’ve loved her (and her stories) since I read My Stubborn Heart not long after it released – and she used the phrase “It’s on like Donkey Kong!” With that in her writing, I knew I needed to be her friend! I’ve loved all of her books since and I Can. Not. Wait. 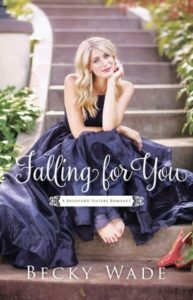 for Falling for You, book 2 in the Bradford Sisters series! Sadly, it doesn’t come out until May! Sigh! I may have to revisit My Stubborn Heart while I wait ;). Or maybe the prequel novella and book 1 in the series! They were both outstanding! AH! This one is calling to me! The Theory of Happily Ever After ALSO doesn’t release until May! AH! 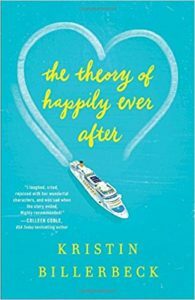 I’ve read a couple of books by Kristin and thoroughly enjoyed them, but it’s been a while since I’ve read one of hers. And it’s on a cruise ship! What could be better?! Except being on it myself ;). I’ve seen her posting about it on Facebook, along with early reviews coming in, and it sounds wonderful! I can’t wait for this one! 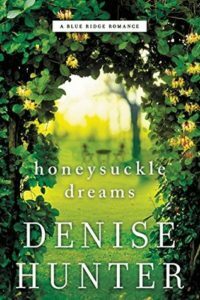 I love Denise Hunter’s books! It doesn’t sound like a marriage of convenience (which is pretty much my favorite trope ever), but engagement of convenience could be great fun too! But since it doesn’t release until (wait for it!) May either, I may have to go on a Denise reading binge. And of course she has plenty of books to binge on while I wait! That’s four of the CCR books I’m looking forward to reading – but there’s also several historicals and romantic suspense I’m looking forward to, but those are a post for a different blog ;) (and a few clean-but-not-inspy contemporaries too). Some of the ones I’m looking forward to are indies and they’re less likely to be posted already. Pepper Basham has a couple coming this year. So does Mikal Dawn. And so many of my fellow InspyRomance authors! What books are you looking forward to? Contemporary Christian Romance, of course, but other (Christian) genres welcome in the comments too! One lucky commenter will get a copy of my upcoming release, A Royally Beautiful Mess, when it releases in a few weeks! Hi Carol and Happy Easter! It is cold in SW Michigan and snow is in the forecast. I was hoping to have an Easter egg hunt outdoors for the grandchildren. We all have spring fever, including our Shelties. The books I am looking forward to reading are: The Tuscany Legacy Series, Arcadia Valley Romances (by Inspy Romance authors) and starting May 1 The Perfect Match series (romance and fun in the sun). Also enjoying Petra Durst-Bennings English translation historical novel set in beautiful southern Germany – The Flower Shop (The Seed Traders’ Saga Book 2) coming out April 24. Best wishes. Hi Renate! I’m sure you’re much more likely to get measurable frozen stuff than we are – though they’ve changed our forecast to freezing slush I think :p. Yuck! Some great books to look forward to! Happy Easter everyone! I’m pretty overwhelmed with all the books already out to plan very much on the ones not out yet. :-) However, I am looking forward to the Potter House series and The Tuscany Legacy series. I’m looking forward to the new Tuscan Legacy series! I’m also very excited to read your new book that’s coming out. Happy Easter! I’m looking forward to reading Where Hope Begins by Catherine West. The sun is shining this morning and 42 out after rain all day yesterday. I pray your day is blessed and have a blessed Easter. Oh! I read the first couple chapters of Cathy’s a few years ago and it was Uh-Maze-Ing! I’ve seen a couple of early reviews for it that attest to the whole thing being that wonderful! I have the ARC sitting here waiting on me, but not sure when I’m going to get to it! Happy Easter, Carol! I am currently reading Secretly Yours by Valerie Comer, a Valentine season story! I am looking forward to the Tuscany series coming out and more Arcadia Valley stories!! I have read all of your stories and look forward to the next one! Happy Easter, Paula! Valerie’s books are awesome aren’t they?! I haven’t started the Arcadia books yet (bad, Carol! ), but I do want to! I’m kind of waiting for them to be done then diving in when I can binge. Hope you enjoy ARBM! Hi Lori! It’s on my list for this week! Shoshanna’s first two were pretty quick reads for me and this one is my mostest favoritest trope so I’m sure I’ll devour it! I read year round but spring is when I get most of my reading done, due to my allergies keeping me indoors. Ah allergies! One slight benefit of them, I suppose. I’d rather just not deal with them though ;). Good for you for finding a silver lining! I’m definitely waiting for A Royally Beautiful Mess! The Tuscan Legacy series sounds good too. I’ve got plenty on my Kindle to keep me occupied until then :-) I know there’s another one I’m waiting for, but can’t bring it to the front of my mind right now… I like you indie authors who don’t make us wait a year between books!! Hi Margaret! Ah! Hope you enjoy ARBM! I need to look up Tuscan Legacy – I know I’ve seen it around, but I’m blanking on it right now. That is one benefit to being indie, but we’re able to work much more streamlined than trad publishers – but then they have far more to coordinate than we do – multiple authors, much larger marketing, etc. Happy Easter. They all sound like wonderful books to read. I am looking forward to reading your new book and the Tuscany Legacy series. I have a few others on my list that’s I need to seriously catch up on. Happy Easter! We are supposed to get a touch of snow tomorrow night, but then back to low’s that are above freezing again, and should stay there. I’ve been reading Dani Pettrey’s Chesapeake Valor and will be looking forward to the 4th book in that series in July. I’m also looking forward to the last of the Arcadia Valley releases so I can start reading through that whole 18 book multi author series, and of course the Tuscan series. Rachel Dylan also has her 2nd book in Atlanta Justice coming out in May. I’m always looking for more of your books as well Carol. Looking forward to all the books you’ve mentioned….and Pepper Basham and Mikal Dawn’s too!